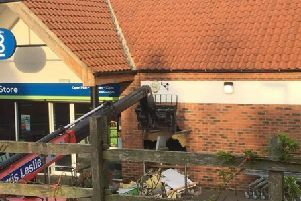 Lincolnshire Police have received reports of a man believed to be trying a door handle in Middle Rasen. The incident was called in at 4am on Wednesday, January 24. It is believed that a man had been trying a door handle, and when disturbed cycled off in the direction of the A631. He is described as having short brown hair, being of skinny build, and was wearing a black tracksuit.